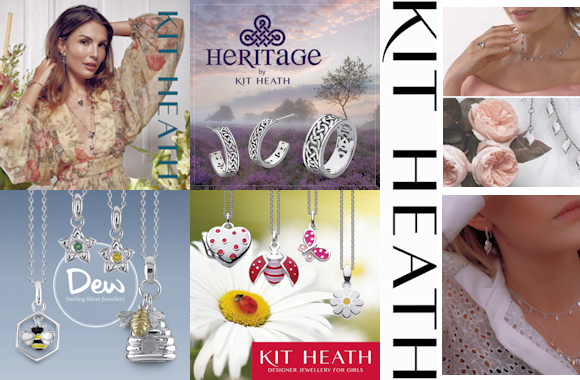 British jewelry designer, Kit Heath, is renowned for designing beautiful sterling silver jewelry. Our philosophy is to create personal and enduring designs. Every design lovingly evolves from an inspiring idea into a stunning piece of jewelry. Our jewelry collection exudes the purity of silver and timeless elegance of design associated with the Kit Heath brand. Attention to detail shines from each delicious curve, each unexpected twist of silver, and every sparkling gemstone. Every piece a sensory delight, a tactile joy. Our stories feature the eternal themes of love, friendship and the beauty of nature, creating jewelry that will be treasured for years to come. Designs to be worn, seen and enjoyed. Everyday classic, beautiful jewelry, precious gifts right for every occasion. Founded in 1981 in Seattle, WA, Boma has grown to become a leading North American sterling silver wholesaler. 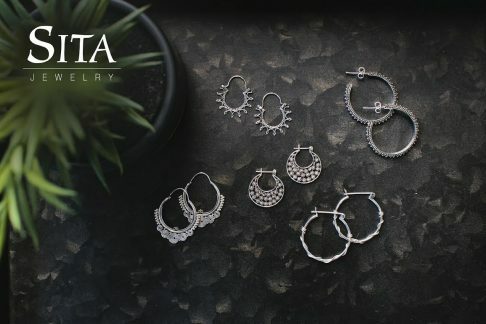 Boma's Jewelry can be found across the United States and Canada and is featured in national magazines such as Elle, Marie Claire, and National Jeweler. If you are looking for sterling silver, Boma may have the perfect piece for your needs. Zarah Co offers six separate lines of diverse styles created by established contemporary artists, each of whom has a distinct vision. Hundreds of designs, including a wide variety of holiday, seasonal, and specialty items. A variety of attractive display cases and programs to fit every retail need. 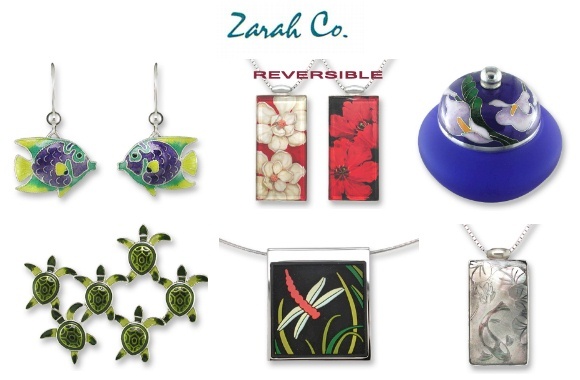 Zarah Co. creates refreshingly creative jewelry and home decor for people who cherish art. Their five lines of jewelry are dramatically different, but they all result from the talents, unique styles, and perspectives of a select group of renowned artists. The same is true of their colorful line of Keepsake Boxes. Design, production technique and presentation are all important, but they never lose sight of their primary purpose–to delight you with adornments that, above all else, are just plain fun to have! Clara Beau is a designer owned jewelry company based in the San Francisco Bay area. Clara Beau takes inspiration from vintage collections to create modern accessories. Benjamin International offers clothing, bags, jewelry, toys, and gifts. 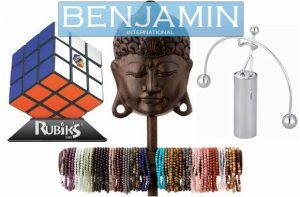 Benjamin International has something for everybody from all around the world, including right here in the United States! A lot of their products are hand-crafted by artisans and made with positive intentions. Items are carefully selected to help markets in thriving third world communities as well as in our own neighborhoods here in the United States! They emphasize innovative design and fair dealings with those they do business with. 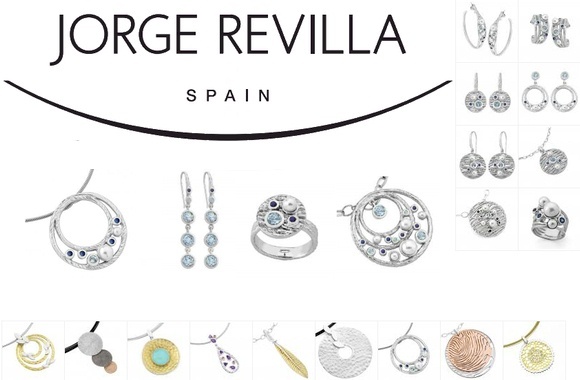 Necklaces are some of the jewels that best reflect the design work of Jorge Revilla. Selecting the most luminous and suggestive stones, offsetting shapes and sizes and creating links in silver gives each necklace its own unique character. Colors, sizes, shapes and sensitivity which glow like a real exercise of design within a design to convert each necklace into a unique silver jewel. Gloria and Jorge Revilla directly and personally supervise the finish of each design, aware of the fact that in each one there is something very personal of their own. An example of this melting pot is one of his sea-inspired collections, which creates organic shapes, highlighted by aqua-marine, Abalone, mother-of-pearl, etc. In turn, these marine materials create geometric shapes, spirals, whirlwinds, stars and give an avant-garde appearance. Another good example is a second collection, inspired by the ancient architecture of his closest environment, in which a new concept of silver jewelry has been created, joining lattice work that creates cascades of shapes and large rosettes turned into pendants that make a play on transparencies. Since 1995, Elise Falkenhayn, owner of Sita, has been working with families in Bali, creating contemporary jewelry designs, using traditional techniques and materials. She is working with the same families as in her original visit to Bali. Sterling silver with some gemstones. Dana Herbert lives in Portland, Oregon where she has been designing and manufacturing her line of women’s accessories since 1998. Her two daughters, Hadley and Hannah Price, work alongside her in the family business. Hannah and Dana design each piece of jewelry together to create a cohesive collection of everyday pieces that pair well with the wide range of scarves they offer. The Sweet Dreams line is a collection of aromatherapy relaxation products featuring five styles and three fabric types. New this season are the organic Sweet Dreams, adding a larger environmentally friendly component to the company. 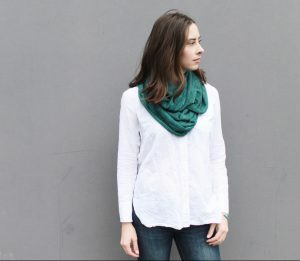 The entire product line, including scarves, jewelry, cosmetic bags, and Sweet Dreams, are manufactured in Portland, Oregon. 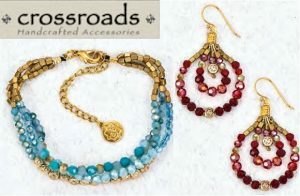 Crossroads was founded by Marpa Eager as a gateway to extraordinary handcrafted jewelry and accessories for retailers across the globe. Drawing on his experience in the studio and arts administration, Marpa works in close collaboration with artisans and craftspeople internationally and close to home, developing and creating fine contemporary jewelry and accessories. Using high-quality elements including silk, pearl, glass and semi-precious stones, Crossroads creates enduring designs in a range of excellent price points. Each season new collections draw on inspirations from the high profile runways to the elegance of natural forms. Of course, our top priority is to our customers, and our evolution is also an extension of the business and personal relationships within the extended Crossroads family. Our continued thanks and appreciation for all of our friends! Since 1989 Sonoma Art Works has been creating original and elegant jewelry in our Sonoma design studio amidst the vineyards of northern California's wine country. We pride ourselves on our unsurpassed customer service and creating beautiful American made jewelry at an affordable price. The jewelry is designed by the artist Cheryl Sirkus whose original designs are then handcast in sterling silver and 14k vermeil. Her pieces capture the feeling of elegance and femininity in a very understated way. 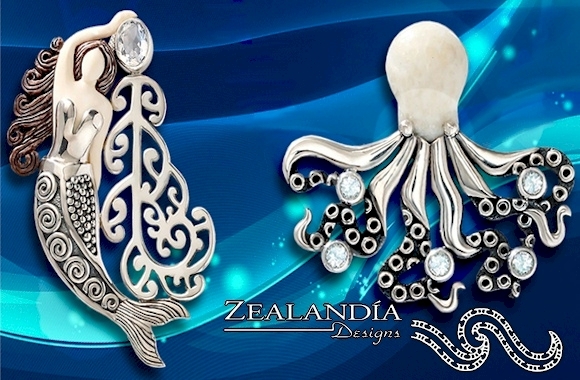 Since 1987, the artists at Zealandia Designs have gone to the ends of the earth to create our unique carved ivory jewelry that is recognized throughout the world for its creative use of fossilized walrus ivory and ancient fossilized mammoth ivory. They exclusively use ancient fossilized ivories that are hundreds to thousands of years old in our designs. They are passionately opposed to the destruction of life resulting from the elephant and new ivory trade. Their beloved designs also feature a vibrant variety of the earth's finest natural materials such as New Zealand paua shell, semi-precious stones, mother of pearl, jaspers, ammonites, black mussel, and rich metals. The fossilized ivory, shells, and fossils they use are like human fingerprints in that no two pieces are the same, guaranteeing each of their customers a one-of-a-kind look. Zealandia jewelry is made by hand in a sculptural process that evokes a story, scene, and their deep love of the natural world. Each piece is handcrafted in Bali, Indonesia, and is truly a piece of wearable art. Jenny Byrne, Zealandia Design's creator, and lead designer, is inspired by nature, spiritual and mythological art, and history, creating statement jewelry that honors Earth and her wondrous natural materials. Due to variations in both the fossil colors and the carver’s style, every piece of hand carved ivory jewelry is unique.